America's FIRST circulating coin – a historical must for your coin collection! Now you can bring a coin from this legendary family home to your collection. 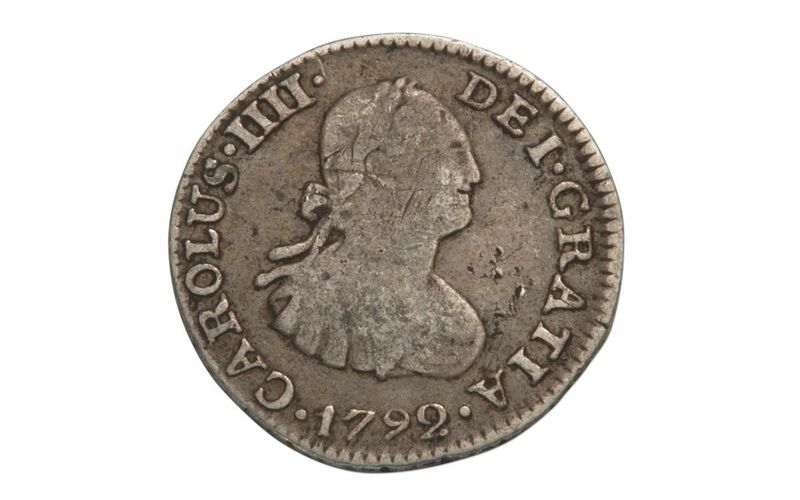 You will receive a Silver 1/2 Reale struck FROM 1789 - 1797 (the exact year our choice) in raw fine condition. Make this "piece" of Spanish AND American history yours -- add it to your cart now! AMERICA'S FIRST COINAGE – Reales were America's most important circulation coins during colonial times and the time following our nation's freedom from British rule. 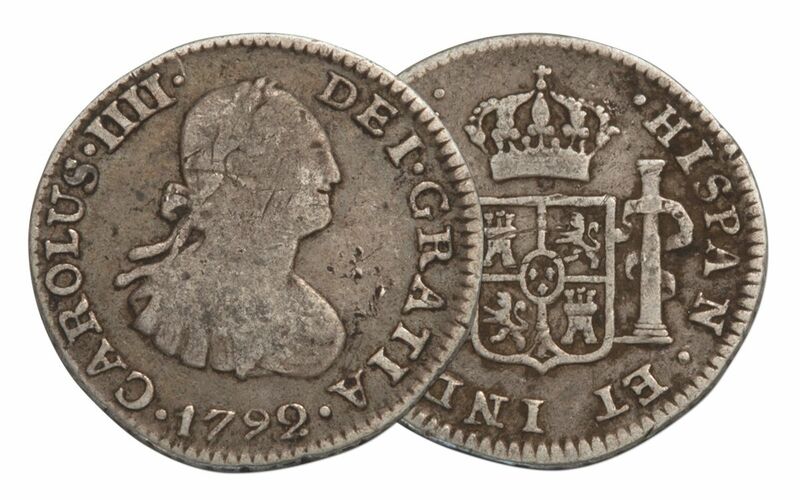 These Spanish Portrait Silver Reales feature the iconic American president, George Washington, and could have been carried in his pocket or the pocket of other Founding Fathers like Thomas Jefferson and Benjamin Franklin! Each compelling coin captures the portrait of President Washington and is inscribed with the date of mint and DEI GRATIA which means "by the grace of God". 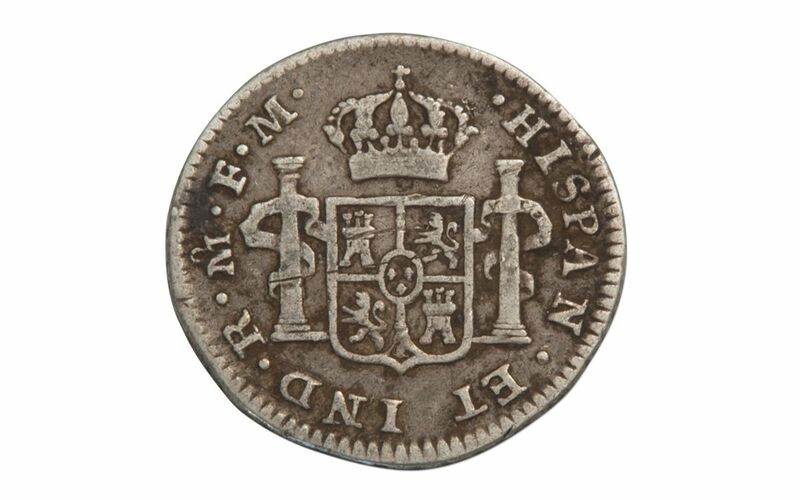 SPANISH MADE OF .902 SILVER – Struck in 90.2% silver, these 8mm diameter ½ Reale coins come in our choice of dates ranging from 1789 – 1797. These coins circulated in far larger numbers than U.S.-struck gold coinage well into the 1850s. But by 1857, the U.S. Mint could keep up with the supply and demand of coins and foreign coins were demonetized. RAW FINE GRADE - Considering how widely these coins circulated, these silver Reales are detailed Fine grades with readable dates. LEGAL TENDER UNTIL 1857 - This coinage was so important to the U.S. economy that they were legal tender through the Coinage Act of 1793 and even well into the 1850s. By 1857 Reales were demonetized and later melted. WOOD DISPLAY CASE - Your coin will arrive in a deluxe wooden presentation case, encapsulated in a round numismatic seal with an official certificate of authenticity. You'll also get a bonus story card about George Washington. LIMITED MINTAGE – They discontinued the production of these coins in the 1850s – so it's a wonder they still even exist! Our savvy buyer got a hold of a batch and now we're passing them onto you. Order yours now from GovMint.com and hold the coin that may have jingled in a Founding Father's pocket!